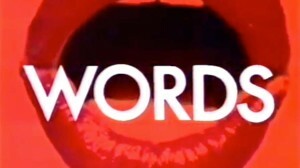 F. R. David – Words – Official Music Video. The song that was originally released only in France and Monaco reached number number one in Germany, Switzerland, Sweden, Austria, Norway and South Africa in 1982 and no. 2 on the British singles charts in spring of 1983 with eight million copies sold worldwide.